Notice on Dot Regulations for 2017. The Federal Motor Carrier Safety Administration announced a new federal rule that is to take effect on December 16, 2017. This new rule will require any truck driver operating a vehicle made in 2000 or after begin using electronic logging devices (ELDs) to keep records of their duty status. The use of ELDs will eliminate the need to keep and maintain paper logs; however, drivers will still be required to maintain supporting documentation which must also be submitted to their carrier or kept on file (for owner-operators). 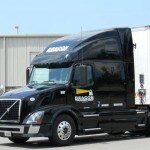 The rule also iterates specific safeguards against driver harassment via ELDs as well as hardware specs and details about the required supporting documentations that each truck driver must continue to keep even after the mandate is in place. It is estimated by the FMCSA that this new regulation will save the trucking industry approximately $1 billion each year, almost exclusively thanks to the time and money saved not having to do paperwork anymore. The administration also believes it will make truck driving safer for everyone involved. The specific details of the ELD mandate require that all truck drivers operating a vehicle dated 2000 or newer keep records of duty status. This does not apply to drivers who keep records of duty status in eight or fewer out of every 30 working days, drivers who operate in a drive-away and tow-away capacity, or any truck driver operating a vehicle with a model year older than the year 2000. ELD devices must be installed and in use no later than December 16, 2017. ELDs meeting the minimum standards mandated in the new rule will not be used to track a driver or vehicle in real-time, nor will they be required to include driver-carrier communication capabilities. They must, however, be capable of automatically recording the date, time, location information, number of engine hours, vehicle miles and identification of the driver using the device. Additionally, each ELD must sync with the engine of its vehicle to capture engine on and off time. Compliant devices must also be capable of transferring data on-demand during any roadside inspections. Lastly, the rule requires that ELDs “present a graph grid of a driver’s daily duty status changes,” either on the actual units themselves or in printouts. While drivers using ELDs will no longer be required to maintain paper logs, they must still maintain a maximum of eight supporting documents (either paper or electronic) for every 24-hour period that involves on-duty time. These supporting documents must be submitted to the truck driving carrier within 13 days of their receipt, and carriers must retain them, along with duty status records, for a period of six months. A similar mandate slated for a 2012 implementation was tossed out of court due to its lack of protection against the potential use of the devices to harass drivers. As a result, the FMCSA’s new rule specifies that it is illegal for truck driving carriers to use the devices in this manner. It specifically addresses any action against a truck driver that a carrier “knew or should have known” would have interrupted the driver’s off-duty time. Punishment for such an offense includes hefty fines. There is a system in place that drivers can use to report abuse of this rule. For more on trucking industry news and updates, check out our blog or contact us today.